Vitis vinifera 'Spetchley Red' has green leaves in summer which turn gorgeous shades of vibrant, intense red in autumn before falling and small, black seedy grapes, which make a fabulous wine. This strong growing, non-evergreen climber is best planted and grown against a wall, trellis, fence with strong support and is suitable for covering all manner of things where space is plentiful in full sun or partial shade. 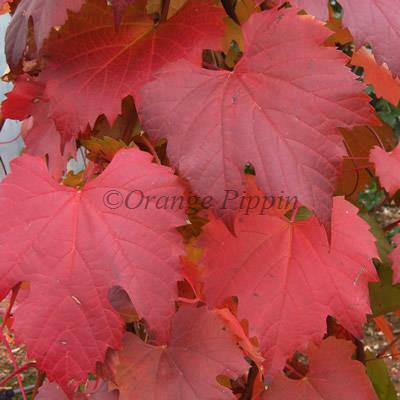 Vitis vinifera 'Spetchley Red' originates from the famous gardens at Spetchley in Worcestershire.